RGDATA made more than 30 submissions to Irish and EU bodies in 2017, presented to four Oireachtas committees and had numerous meetings with ministers, TDs, senators, and government bodies in order to represent the interests of Ireland’s family-owned shops. 2017 was also the year that independent retailers made their voices heard loud and clear on Irish government proposals to introduce structural separation in mixed trading outlets. Dubbed the ‘Burka Bill’ by TDs and senators, the Public Health (Alcohol) Bill’s proposals to hide alcohol from view in shops with in-store off-licences fired up local retailers from around the country who saw it as unfair, costly, unworkable and doomed to failure. RGDATA spearheaded a campaign and encouraged members to contact local politicians to show them how the Bill was unworkable and would impose significant costs on struggling local shops. It was clear that the TDs and senators had got the message and accepted the concerns raised when the parliamentary parties met on this issue and when the Bill was debated in the Seanad. After further consultations with the department officials and the minister, an agreement was reached which offered mixed traders three options to deal with structural separation and ensured that the lead in time will be two years. It was also agreed that the introduction of Minimum Unit Pricing would be timed to coincide with the introduction of the same measure in Northern Ireland. The final stages of the Public Health Alcohol Bill came before the Dail as we were going to press and is expected to pass into law early in 2018. A full review of the Bill will be available on the www.rgdata.ie members’ section once it is passed into law. RGDATA’s second key campaign for 2017 is an ongoing one – trying to get radical action to address unsustainable increases in shop insurance costs. An RGDATA delegation met with The Cost of Insurance Working Group (CWIG) and made a passionate plea to the group to “stop tinkering around the edges and make the radical changes required to stop shop insurance costs increasing by 30 percent, 50 percent, 70 percent every year”. RGDATA member, Eoin McCambridge told the CWIG that the insurance premium on his award-winning, third generation family business in the heart of Galway city had jumped from €7,000 to over €100,000 in the past few years. “Unless this issue is tackled fast, I will have to close down the business that was set up by my grandparents,” he said. Minister for Insurance, Michael D’Arcy recently published the CWIG report on employer and public liability insurance. RGDATA is reviewing the report to assess if the recommendations pass what industry experts have dubbed ‘the RGDATA test’, ie will they bring down the cost of shop insurance? “Government must be far more radical if shop owners are to see premium reductions. RGDATA has a number of proposals to move the campaign along in 2018,” Tara Buckley states. Go to rgdata@rgdata.ie to read the full CWIG report and the RGDATA submissions. As 2018 kicked off, RGDATA met with Insurance Ireland to discuss what insurance companies should be doing to reduce premiums and tackle exaggerated claims. RGDATA is now awaiting a full report back from Insurance Ireland on all the issues raised at the meeting and the actions they will be taking to address policy holders’ concerns. RGDATA has also joined 20 plus civic and business groups in the Alliance for Insurance Reform to highlight that unsustainable insurance premiums are an issue for all of society. The alliance represents not-for-profit organisations, charities and small and medium-sized businesses. RGDATA is also tackling retailers’ concerns about a proposed bottle deposit and ‘bring back’ scheme and the banning of single-use plastics in the proposed Waste Reduction Bill 2017. Tara Buckley highlighted how RGDATA members are “genuine green grocers” who are active in encouraging reuse and recycling. 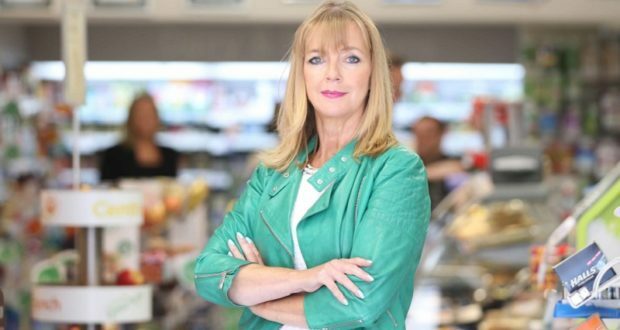 Independent retailers are supportive of the general aims and objectives of the Bill but there is concern on certain aspects of it, she told an Oireachtas Committee review of the proposed Bill. The RGDATA director general told the Committee that a bring back scheme must be “rigorously tested for cost effectiveness and impact on recycling and the existing Repak scheme before legislation is passed”. RGDATA’s campaign to regenerate rural towns and villages and get people back living in town centres continued in 2017 and is getting considerable traction. The Pilot Town Centre Health Check programme has been a great success with the first of the 10 towns completing their Health Checks and starting to deliver on the town plans they have develop as a result. In addition, a new scheme to turn commercial premises into residential units, announced in December, will be reviewed by the Joint Oireachtas Committee early this year. The proposed regulation is aimed at facilitating the change of use of certain types of vacant buildings to bring them back into productive use as homes. “Aldi should stop moaning and concentrate on making applications that do not flaunt Ireland’s Retail Planning Guidelines. 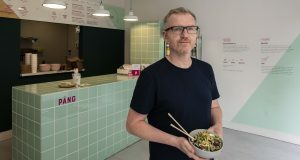 Unless we stick to the Retail Planning Guidelines we will not deliver sustainable retail development and vibrant towns and villages,” Tara said in response to a report in the Irish Times. In 2018, RGDATA will remain consistent and proactive in its support of vibrant towns and villages and sustainable retail development. “RGDATA campaigned for the introduction of Retail Planning Guidelines and we make no apologies for seeking to ensure that they are adhered to. We remain the only trade association that activley participates in the planning process to ensure vibrant town centres and sustainable retail development,” says Tara. There are many other issues that RGDATA will be tackling over the next 12 months: Brexit; Sugar Tax; new tobacco regulations; National Lottery; retail wage rates, commercial rates reform, retail crime; black market, the National Development Plan and many more. Keep up to date on all sector and regulatory issues by reading your RGDATA news ezine – emailed to members every Tuesday. Email rgdata@rgdata.ie if you are not receiving the weekly email.